IGN‘s Nintendo Voice Chat Podcast featured Witch Beam‘s action-packed arcade-style twin-stick shooter Assault Android Cactus+‘s then-upcoming Nintendo Switch release on March 8. 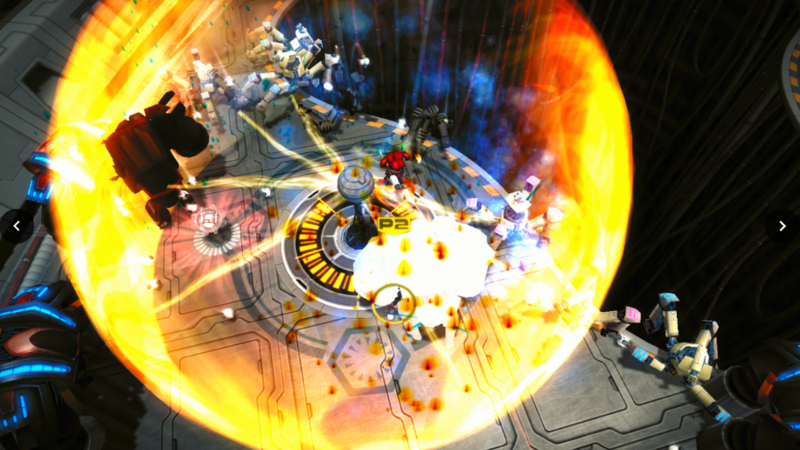 In the episode, the hosts praised the game for being “wonderful” and “something worth paying attention to,” as well as the developers’ extreme attention to detail. To learn more, watch the full episode on Nintendo Voice Chat Podcast YouTube Channel, visit the Assault Android Cactus+ official website and follow @AndroidCactus on Twitter. This entry was tagged action, android cactus, Assault Android Cactus, IGN, indie, indie developer, indie game, Nindies, Nintendo Switch, Nintendo Voice Chat, Podcast, pr, release date, shooter, Stride PR, switch, video game, video game pr agencies, video game pr agency, Witch Beam. Bookmark the permalink.